Provides an innovative framework model for integrating holistic and allopathic medicine to create personalized regimens focused on a “whole systems” approach to patient care with an emphasis on wellness. Strategically implements advanced clinical diagnostics with modern scientific techniques to aid in the successful selection and application of the most appropriate, effective medicines. Synergistically combines botanical and nutritional formulations, targeted agents, diet and prayer as the core therapeutic components of a tailored regiment. Implements the latest research and scientific advances at molecular, cellular, and genomic levels. Donnie Yance’s unique Eclectic Triphasic™ Medical System (ETMS) forms the cornerstone of Mederi Center's clinical approach. The ETMS culminates nearly 30 years of clinical experience. This integrative approach combines essential principles from both traditional and modern medical systems and employs herbal medicine as its primary treatment modality. This immensely rich herbal foundation stems from the American Eclectic and Physiomedical western herbal traditions as well as Eastern (Chinese or East Asian) Medicine, which is regarded as the world’s most extensive traditional medical system. 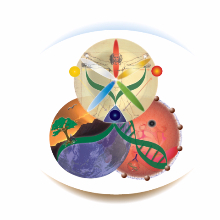 The methodology behind the ETMS is a complex interweaving of modern science with the constitutional energetics and spiritual philosophies of these traditional medical systems. The theoretical basis of these systems provides a framework for developing novel therapeutic strategies while incorporating the best of wholistic and conventional medicine supported by the latest scientific research at molecular, cellular and genomic levels. Traditional Herbal Medicine utilizes botanicals as the vital element of treating chronic and acute illness. Fundamentally it is directed at addressing and removing the cause of suffering along with enhancing the individual’s constitution and vitality. The underlying philosophy of Traditional Herbal Medicine expresses the basic understanding that healing comes from the wisdom of God and is inherently found in nature. This wisdom is spiritual and dwells within all human beings. Humans and plants have mutually co-evolved over millennia and are intimately and inseparably related, from food, through medicine and healing to spirituality. Herbs provide us with a profoundly appropriate and harmonious form of medicine, engaging, involving and directing energy towards healing and well-being and enhancing the vital force in a unique manner. Herbs support the “will” of the vital force. The innate healing force within must desire to be well & the herbs will lend a helping hand. Otherwise, the “human to plant” relationship is incomplete and the healing power is compromised. At the same time, modern scientific research daily validates the foundational principles and practice of Traditional Herbal Medicine, while providing new insights at molecular, cellular and genomic levels. These insights enable ever more refined, targeted and individually tailored therapeutic strategies that are increasing the efficacy, scope and success of herbal medicine. Hippocrates said “make food your medicine and medicine your food”. The ETMS development of Clinical Nutrition as a therapeutic modality employed by CNH practitioners retains the traditional “food as medicine” model but updates it with cutting-edge scientific research into the molecular effects of dietary ingredients (or “phytonutrients”) upon cell biology in both health and disease. This approach goes far beyond mainstream dietetics and also avoids the inevitable confusions of the myriad “fad” or alternative diets that are commonly promoted as fighting everything from candida to cancer. Expanding research in the field of “nutrigenomics” is revealing in growing detail the capacities of dietary ingredients to interact with the human genome to directly modify the expression of our genetic material (DNA). These capacities can be utilized to optimize wellness in an individualized (ie; genomically patient-specific) fashion, which includes the prevention of disease, for example inhibition of carcinogenesis by protecting against and repairing cellular and genetic damage. The use of diet and dietary compounds for wellness optimization lays the foundation for health, including psycho-emotional and spiritual well-being, as well as disease prevention and amelioration of age-related degenerative processes. The same dietary materials in the form of synergistic combinations of highly purified active “nutriceuticals”, administered at doses designed to achieve therapeutically active levels at the cellular level can directly inhibit processes such as inflammation, oxidative stress and angiogenesis that underly cancer and other chronic diseases. In these settings there is a seamless link between prevention and treatment, between food and medicine, and between clinical nutrition and botanical medicine – and the timeless truth of Hippocrates’ saying echoes in the efficacy of today’s advanced nutrigenomic therapeutics. The heart of healing is a journey, or perhaps better said - a pilgrimage. Within this pilgrimage are aspects that are unique to each individual. It is a wholistic process, which cannot be reduced to any one component. It is an integrative, moving, emergent, living process that involves multiple interacting dimensions, some of which can be accessed by the scientific and rational, whilst others may be purely mystical. We need to better understand this interwoven process. Healing isn’t as simple as removing a body part, doing chemotherapy, eating more of a certain food, taking a fad supplement, doing yoga, or seeing a psychic healer. True healing requires us to go deeper, to the center of our being, wherein lies the beginning of the quest for wholeness. Human beings consist of body, soul, and spirit. Our body gives us our passion and emotions. Our soul (mind) gives us our cognitive powers of awareness, reason, and intellect. Our Spirit is the pure spiritual intuition of our deepest essence. It is beyond sense, emotion, or thought. In life we attempt to live in harmony of this trinity within us. Having a chronic illness invites us to attend to our true nature and be the possibility, which is to live rather than merely survive, not in the yesterday or the tomorrow, but the present. This is where space (eternity) and time (our world) come together. Our map for wellness is to join together time and space, the thinking rational mind and the spiritual mind that dwells within, and to have our being and our doing be a harmonious reflection of each other.